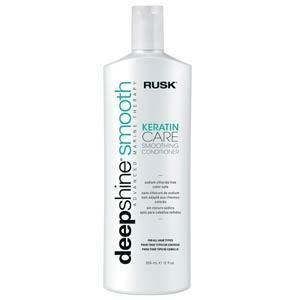 Style Source Magazine | Rusk Deepshine Smooth Keratin Care Smoothing Conditioner 12 oz. Home /	Brands / Rusk Deepshine / Rusk Deepshine Smooth Keratin Care Smoothing Conditioner 12 oz. 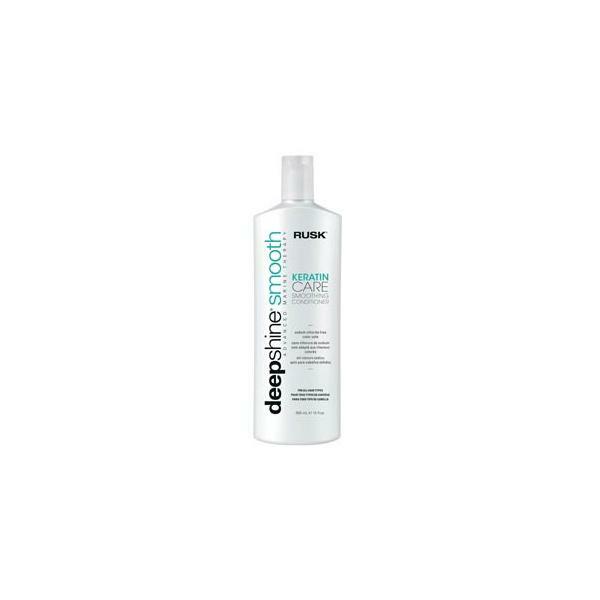 About Rusk Deepshine Smooth Keratin Care A professional hair care line formulated with natural keratin to help replenish the hair's natural keratin, which may be lost or damaged during the chemical/color process. All formulas are sodium and sodium chloride free making them safe for use on chemically and color-treated hair. This maintenance system is perfect for anyone who has had a keratin smoothing treatment or chemical straightening service. These products strengthen and repair the hair; restore elasticity; lock out humidity; and improve overall texture and condition, leaving it smooth and shiny.